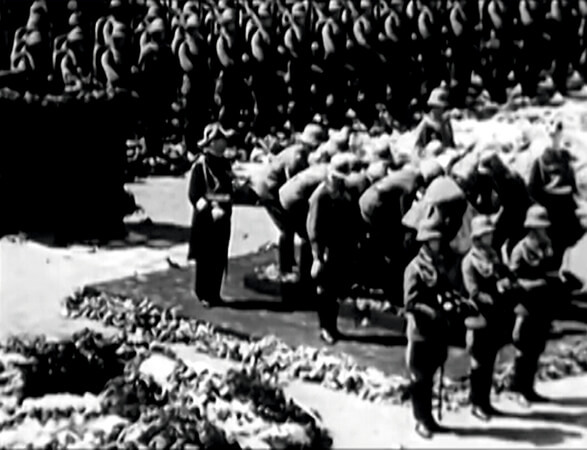 technique: black and white film with sound music: Richard Wagner, Siegfried Funeral March-Götterdämmerung, Sir Georg Solti &Wiener Philharmoniker, Funeral March to Siegfried's death from the third act of Twilight of Gods. 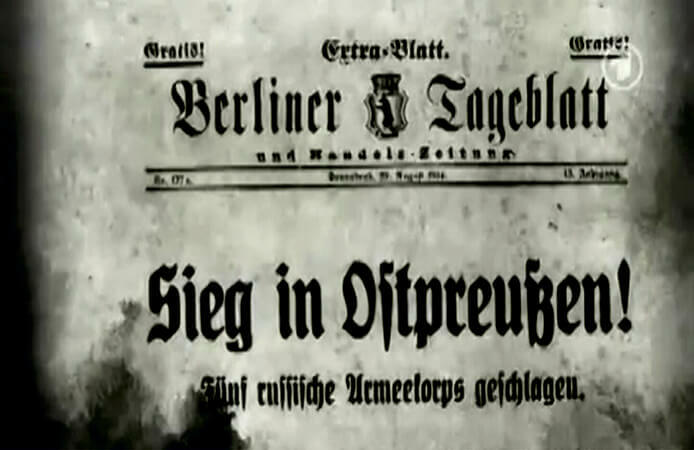 description: The Tannenberg-Denkmal film is dedicated to the memory of an already no existing monument. It reveals a fascinating history, in which was interwoven, among others, biography of Paul von Hindenburg and Adolf Hitler. 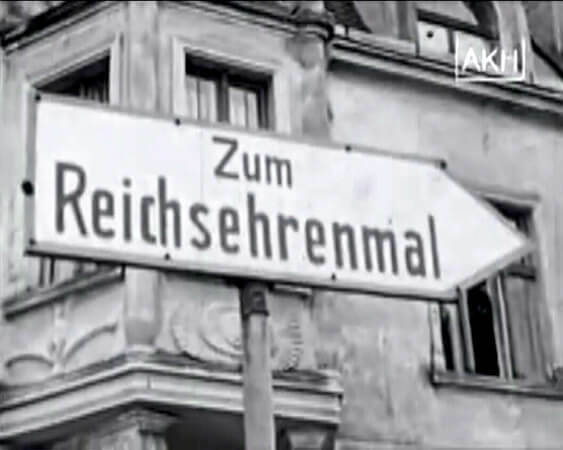 The latest one, after he came to the power, decided to attribute the monument as the National Monument of the German Reich. 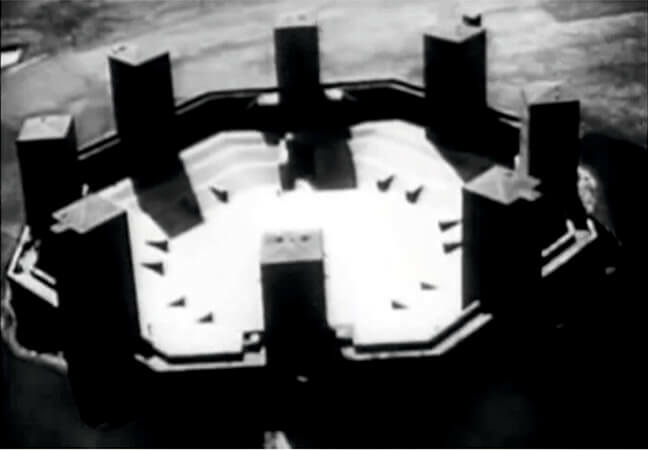 The fact of existence of the monument, in the years 1927-1945, in East Prussia, as the historical legacy of the German cultural heritage, for many years undoubtedly focuses a number of difficult topics related to the process of building a collective identity, aware of joint-heirs history, places of memory, also the problem of memory/oblivion, nullification, blurring traces. The film was made on the basis of archival materials obtained from private and official collections. The background of the film is music by Richard Wagner, Funeral March to the death of Siegfried from the Third Act of Twilight of Gods, Siegfried Funeral March-Götterdämmerung performed by Sir Georg Solti &Wiener Philharmoniker. The music and pictures revealed the history of the Tannenberg monument, from the moment of commemoration of glory (battle of Tannenberg), political significance on a national scale, death of Marshal von Hindenburg, to a spectacular fall - destruction, finally forgetfulness. The last frames the film reveals the present condition - a weedy place with a former monument.